As day gives way to night, sensations become more acute. 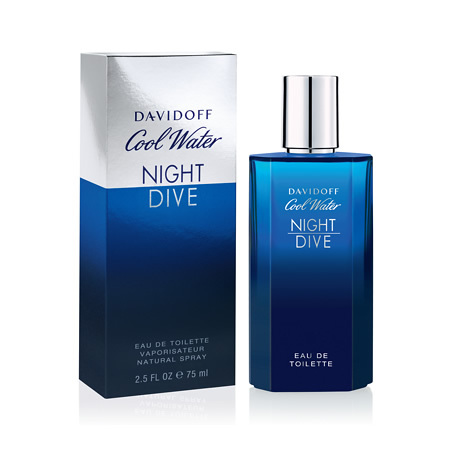 Nightlife is a matter of instinct and the Davidoff Cool Water Night Dive man is fully conscious that he is a force of nature. In sync with the elements, he dares to follow his intuition, to trust his own power. This heightened form of awareness makes him stronger and bestows upon him an irresistible power of fascination, the attraction of cool. Davidoff Cool Water Night Dive opens with a clear and thrilling “splash” sensation brought by a blend of shivering mint and cold watery fruits, carefully assembled to enhance the green inflexions of lentisk. This striking prelude slowly gives way to magnetic and modern oriental notes of cashmeran. Its musky, spicy intensity is faceted with captivating ambery balmy notes heightening the woody force of lentisk.